Bring your wallets and get ready to shop! When we stopped by Republic of the V last Saturday I wish I had won the lotto the week before. So much stuff that I wanted - things I did not even know were out on the vegan market. 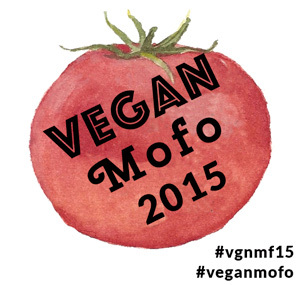 So many vegan goodies from top shelf to counter - all arranged in a cool, clean space with plenty of breathing room. 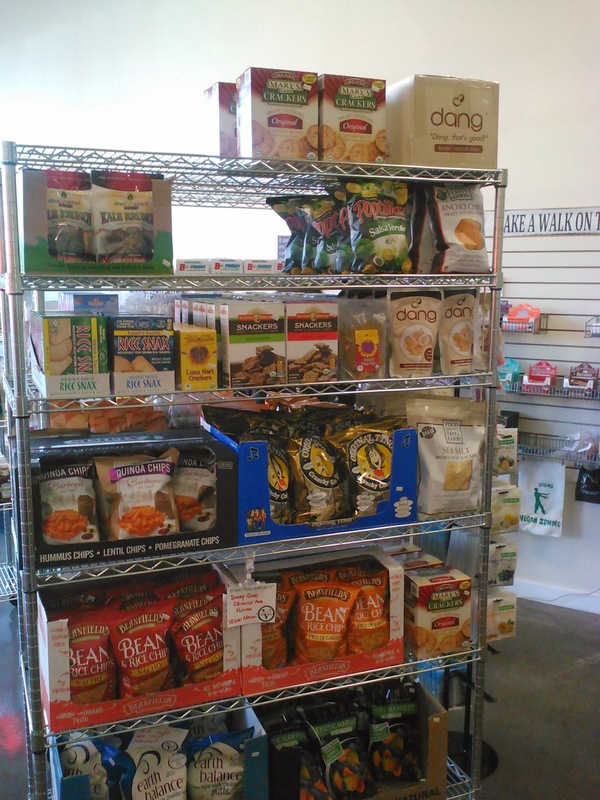 Some Snacks to get you in the munching mood - from chips to jerky to loads of vegan chocolate they have all your snacking needs covered. 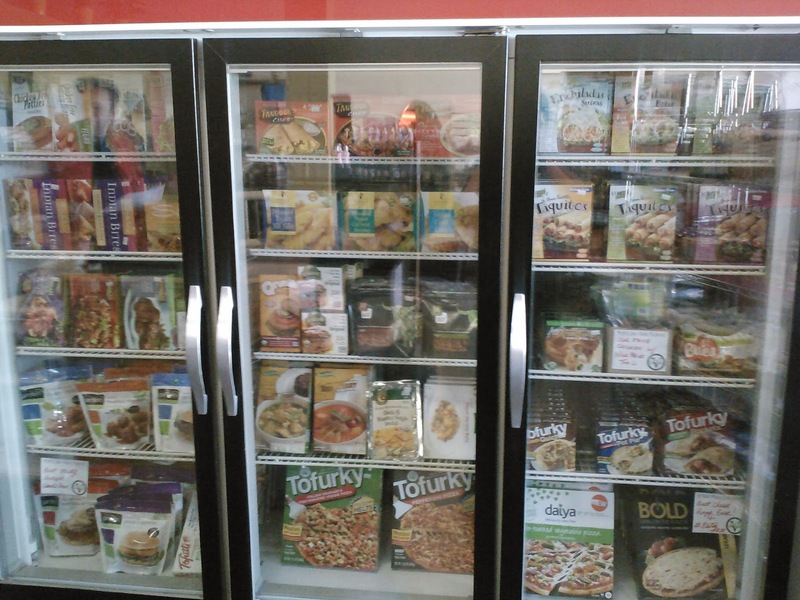 Frozen food never looked so good! Pizza, burgers, taquitos and more are up in the case! So much stuff I could have run around and shopped for hours, but we had a BART to catch. I ended up with some new stuff to try out: Sriracha jerky, cola flavored kombucha, lip balm, chocolates, sweets, a new shopping bag. I cannot wait to head back and do more shopping. 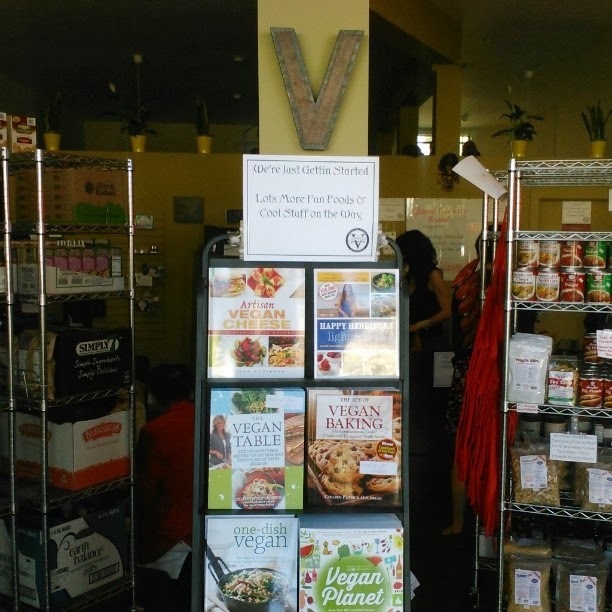 Republic of V is located at 1624 University Avenue in Glorious Berkeley, CA. Just a few blocks from Pizza Moda! Wow! I'll have to check that place out when I make it to California again, it looks awesome.